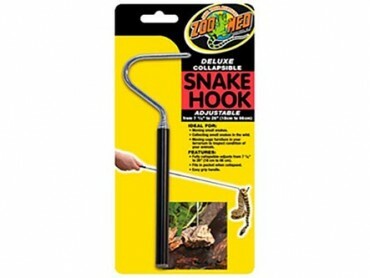 Exotic Pets, Snakes, Boas, Sand Boas. The Kenyan Sand Boa is one of the smallest boas found in the world with adults rarely reaching 36 inches in length. The male of the species are even smaller. They burrow in the substrate that can be aspen, paper or sand and are a delight to keep and raise. 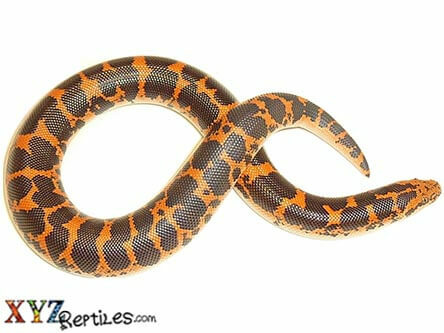 Our baby Kenyan Sand Boas for sale are young, healthy specimens. I was hesitant about ordering a live animal online, but I checked the credibility here and it I couldn’t find a bad review on here or Facebook, so I made this purchase. I couldn’t be more satisfied! She arrived in a timely fashion, beautiful and healthy. I took her out of the case and she was very tame and responsive. If I were to buy more reptiles online again, I wouldn’t do it anywhere else! I was worried about him since the low temperatures were to be in the low-30s. But he arrived just fine, a bit cold though. Once he sensed the heat pad, he livened up and started burrowing. He is very docile with really bright colors. He immediately went into shed right after arriving so he hasn’t eaten for me yet, which is getting me worried. However, it should all be fine. I ordered a male Kenyan sand boa some time ago, and I must say, he’s the most inquisitive, lively little snake. 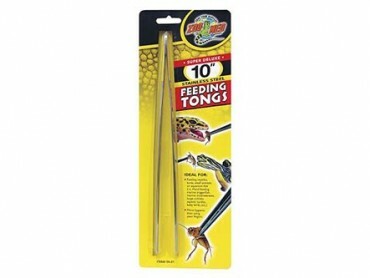 Shipping took some time, but with good reason (concern for health and safety of the critter), and was extremely fast. Despite scaring the bejeezus out of our FedEx lady and an unexpected delay, there were no problems. He’s a lovely little critter, healthy as ever, and I can’t wait to see how well he eats! Wonderful. Just wonderful. I ordered my KSB on a Monday morning at like 3 am and received him on Tuesday morning at 9:30 (an hour earlier than it was supposed to be here) and I live in CA and xyzreptiles is based out of Florida. This was also by far the best choice as far as price goes. Received our KSB on Friday. We had ordered her on Tuesday I believe. With hurricane Harvey on us, we still got her in a timely manner. She’s very alert and GORGEOUS!!! First off, the little sand boa is exactly what I wanted, looks healthy and is quite lively. There was no heat pack, which was somewhat concerning as it was a chilly morning and what made matters worse (note that the following was entirely the fault of Fed Ex), the box was left at my door without so much as a knock. Fortunately I’d been waiting eagerly in the living room, so I saw the truck arrive. Had I been in a different room when it arrived, I wouldn’t have heard or seen anything and figure it hadn’t gotten there yet. Just a tip, be ready and on the lookout for the truck, because the Fed Ex employee may leave your reptile sitting in the cold. There were no major issues on XYZ’s part, so I recommend them. The price was great and it was easy to track the location of my package. Hello, We are based out of Miami, FL which runs hot year round. We have to take temperatures into consideration for here, the FedEx hub and the final destination when deciding on whether to use a heat pack or not. 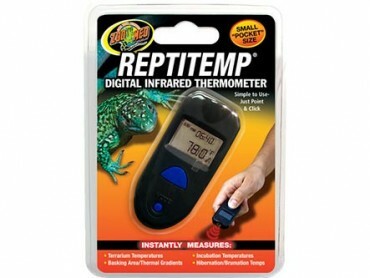 It is much easier to overheat and kill a reptile than for it to perish due to low temperatures. This is why there was not a heat pack in your box. Glad to hear overall you were happy with your experience with us and and your sand boa. My KSB arrived on time lively, bright and alert. He was a little stressed due to shipping he started to jump around when I held him. After a few days he calmed down and happily ate his F/T pinky. I do wish you can see the individual snake you’re getting prior to purchase but he arrived exactly like I thought he would. Thank you XYZ! I would order again in the future! I recently bought 2 KSB; a normal and an anery. They both arrived safely and were well packaged. They were both a bit cold to the touch since it dipped down overnight, but adjusted well in their enclosures. The little card that came with each were very nice. It has their birthday, the day they are fed on and their meal. They were both feeding on live pinkies, but it was very easy to switch to frozen/thawed. They are both super tiny, so I was afraid I couldn’t find a small enough pinky to feed them. However, they ate very well. I’m very happy with my KSB and would likely buy more once more morphs are available. My baby Kenyan Sand Boa was delivered promptly and was in excellent health when he arrived! He’s a delightful little guy, and doing very well. He was kept plenty warm in his shipping container. He’s beautifully colored, docile, and happily moved right into his tub. I’d gladly do business here again! John Wiggins —> I ordered a bumblebee ball python , she was is boing great , I live in California so I was a bit worried for Carma ( my baby ball python) but she made it safe and sound !! thank you so much Xyz reptile I love her and am very happy with her . She looks amazing and she’s getting very friendly. This is my second snake purchase in less then 2 months. Xyz did amazing again. 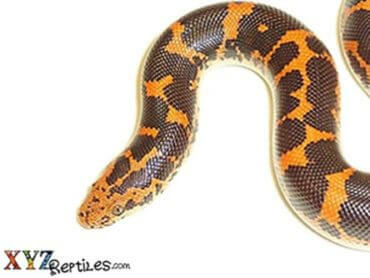 Amazing colored Kenyan sand boa male. Shipping was great, i live in Salt Lake City and it’s pretty cold. Heating pad and lots of insolation. Once the little dude got warm he was active burrowing. I’m very happy again, and look forward to doing more business with xyz. Amazing little boa! Shipping was fast and thorough. Well packaged, I loved the little sheet with his food info and his birth date 🙂 affordable and great, healthy, lively and very tame snake! Will order again from you guys in the future. I ordered a Kenyan Sand Boa for my daughter on a Thursday morning and it was delivered Friday morning at 10 am. “Mango” is the cutest little snake. He ate well the first time we fed him. We couldn’t be happier! Our new addition to the family arrived healthy and happy. Misha has adapted well to his new environment and we have been able to hold him. This company is great and if you have any questions, they are there for you. I will order from them again. They both arrived when I was told they would and in fantastic condotion! They both have pretty good size to them and they seem to be overall in good health. 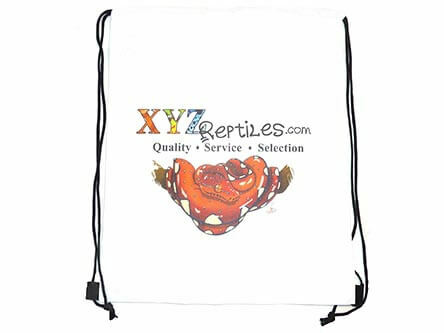 I’m glad I purchased from XYZ and I look forward to purchasing from them in the future. I absolutely love my male KSB! He arrived nice and warm, and started to burrow immediately. Customer service was great and shipping/tracking was fast and accurate. His name is Sizzle and he’s my little baby. I can’t wait to get a Blue Tongued skink next! We ordered a Kenyan sand boa and received it by Fed Ex the next day. Couldn’t be happier. We are proud owners of a beautiful and healthy KSB. When I originally got on the waiting list for a KSB, I wasn’t sure we would get a response. It took about three months to receive an e-mail letting us know that there were KSB’s available for purchase. I’m so glad we got on a waiting list. 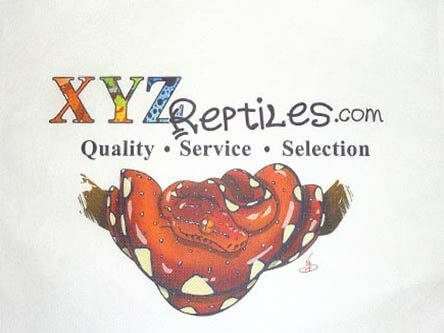 We will definitely use XYZ Reptiles for our next reptile purchases. Just received my two KSB and they are beautiful, healthy little animals with excellent muscle tone and very lively. They have both eaten since their arrival and I couldn’t be happier. You definitely have my future business. Received our Kenyan sand boas two days ago. They are full of energy, healthy and the sweetest snakes ever. They love their new home and we love them. Purchased a female Sand boa and was hesitant about buying online but she came healthy and very much active the second I opened the box! Great color, good size and fast shipping! Very satisfied with the service and will look here first on future orders. Our new boa is absolutely perfect. Colors and pattern are beautiful and he’s very healthy and active. The shipping packaging protected him from the bitter cold and he arrived just fine. I received my 6-8″ female Kenyan Sand Boa Thursday morning, and she is beautiful! She was well packed and insulated and had a heat pack on top, and came out of the container full of life! A nice card telling all about her, when she last ate, when she was born and care tips. I immediately fell in love with her, I named her Ashante, in honor of her Kenyan heritage. Last night, she ate a thawed mouse, she’s really liking her new enclosure! I had never ordered from XYZ before, but after reading the reviews on here, and across the web, I took the plunge, and I’m happy I did, the care they take with their animals is seriously impressive, you can tell they care about them as living beings, not just merchandise to be bought and sold. I will definitely be ordering more from them in the future.